A conservationist, Eugène Rutagarama risked his life to save 355 of the world’s last 650 mountain gorillas that were threatened by Rwanda’s war and massacres in the 1990s. He helped rebuild the national parks system and protect gorilla habitat. The human suffering in Rwanda during the 1990s was incalculable, but without intervention the victims of war might have included a group of humanity’s most endangered relatives mountain gorillas. 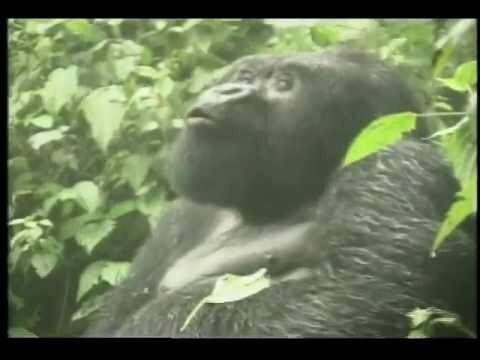 Only about 650 mountain gorillas exist worldwide, some 355 in the Volcano National Park in the Virungas mountains straddling Rwanda, Uganda, and the Democratic Republic of Congo (DRC). Thanks to Eugène Rutagarama, the Virungas’ fragile mountain gorilla population survived the war and the recent conflicts in the DRC. Indeed, the population has grown by 11 percent since 1989. 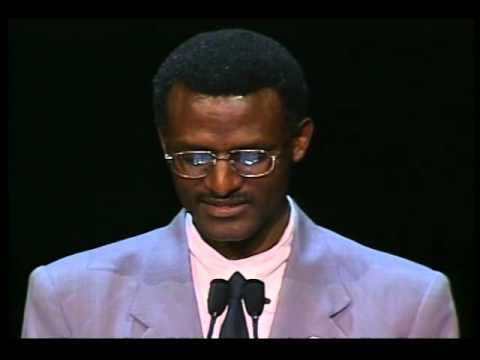 Identified as a Tutsi, Rutagarama has endured a lifetime of persecution from the country’s Hutu extremists. He escaped prison in 1991 and fled to Burundi with his family. Following the 1994 genocide, which took the lives of most of Rutagarama’s relatives, he returned to Rwanda to help revive the weakened national parks. Although tourism provides important income to Rwanda, the protected areas administered by the Rwandan Office of Tourism and National Parks were in jeopardy as the government tried to resettle more than 2 million people. Rutagarama created and garnered support for a strategic plan that led to the agency’s rehabilitation, ensuring that the protected areas and mountain gorilla habitat were not overrun. Risking his life, he repeatedly traveled to hostile territories to deliver funds and supplies to park rangers in the DRC so they could continue their work. He went on to work with the International Gorilla Conservation Program, . Two years after receiving the Goldman Prize, Rutagarama became director of the International Gorilla Conservation Program (IGCP), a post he held for nine years. He worked on rebuilding ecotourism, monitoring the mountain gorillas and building relationships with the communities near the parks. In 2012, Rutagarama took on the role of senior technical adviser to the Greater Virunga Transboundary Collaboration, an intergovernmental organization set up with the facilitation of IGCP by the DR of Congo, Rwanda and Uganda. Since 2001, Rutagarama has continued his conservation work, playing a major role in facilitating international collaboration efforts to protect the Central Albertine Rift, a biodiversity hotspot that includes the Virunga mountain gorillas’ habitat.